A division of Unique Maritime Group (UMG) which is one of the world’s leading integrated turnkey subsea and offshore solution providers, Unique Seaflex has a new and exciting proposal for those who have yet to benefit from the many technical, operational and commercial benefits of the use of their style of pipeline buoyancy modules on pipelaying projects: “Try Before You Buy (Or Hire)”. The basis of the offer is that Unique Seaflex will supply a mutually-agreed style and quantity of their modules free of charge to new customers for use on an upcoming project, so that those contractors may assess for themselves the benefits of the Seaflex solution alongside their existing steel or solid plastic units. “As the market leader in the manufacture, supply and support of inflatable buoyancy modules for pipeline installation projects worldwide, whilst we already have very many satisfied contractors taking our buoyancy units onto all their projects for which our equipment is suited (which as a general rule of thumb are shore approaches within the air diving range), we are always looking to welcome new customers onboard. 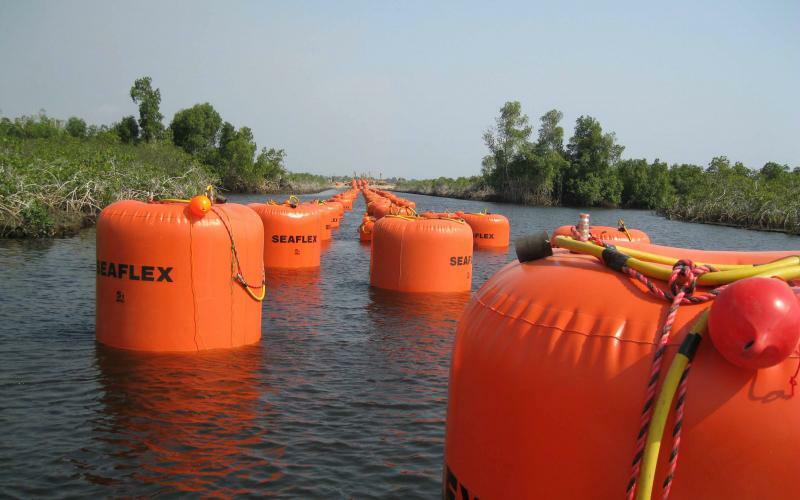 When provided with the main project parameters (pipeline size, weight in water, water depths etc), Unique Seaflex are able to draw upon over 20 years’ experience of working in this field to make recommendations as to the most suitable buoyancy and rigging solution - and can also assist with the definition of methods. Seaflex technicians are also available to travel worldwide as required to supervise and ensure the most effective and efficient use of their equipment on such projects.